Window Garden Bottoms Up Planter Kit - Create a Lush Indoor Garden. 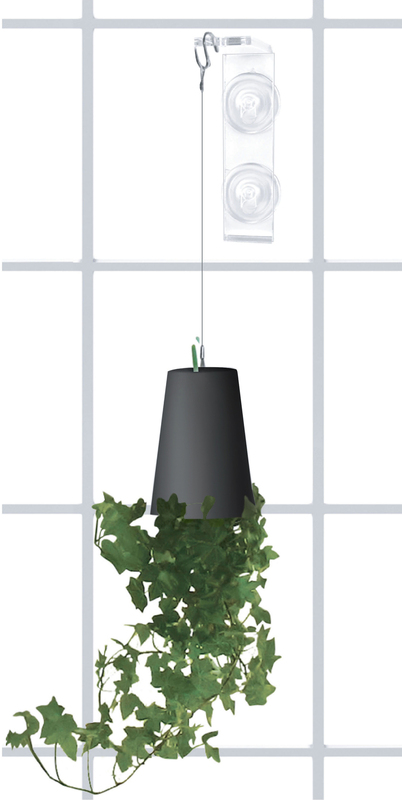 The Self-Watering Upside Down Planter Suspends on Your Window Using the Veg Dangler. It's Perfect for Garden Gifts. 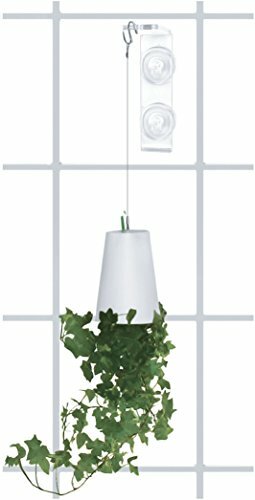 UNIQUE - Your Plant Grows Interestingly in the Upside Down Planter and Stays Securely in Place with a Cut to Fit Mesh and Locking Lid. IT'S EASY- Because It's Self-Watering. Water Slowly drips Out of a Ceramic Reservoir into the Soil and the Handy Fill Gauge Lets you Know When to Add More. Now, Anyone Can Grow an Indoor Garden. GROW VIBRANT PLANTS - With the Veg Dangler. 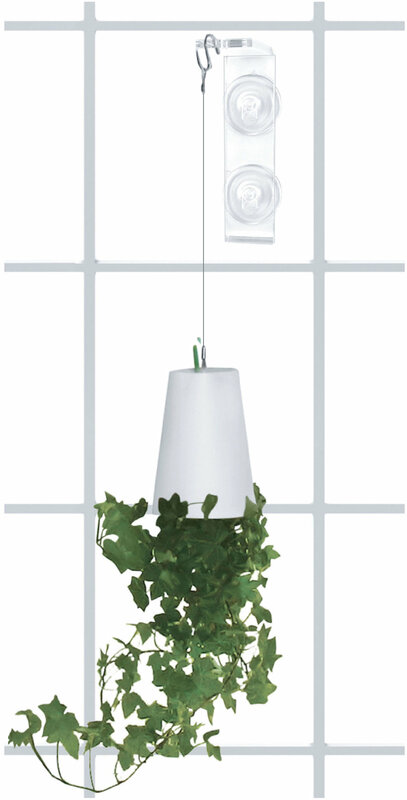 Your Plants Will Thrive Suspended on Your Window Absorbing Maximum Life Giving Sunshine. It's Sleek, Sturdy and Reliable, The Patent Pending Design and Powerful Suction Cups Securely Hold Up to 5 Lbs. FOOLPROOF - The Highly Porous Coco Fiber Soil Resists Over Watering, The #1 Reason for Plant Failure. Plants Breathe Easy and Live Longer with Abundant Root Zone Oxygen. GREAT GARDEN GIFTS - Unique, Attractive and Highly Functional, Sure to Wow. Growing Indoors Just Got A Lot Easier! It's proven that our mental and physical health can be dramatically improved by adding plants to our environment. But many people are apprehensive about growing plants either because they lack the knowledge, time or claim "brown thumb". You have no excuses now, its time to get growing with Window Garden! We've designed each Window Garden product with you in mind, all our products are simple and easy to care for with detailed instructions, plus they look great in any décor. All for a low price and backed by our outstanding customer service. What are you waiting for? Start your decorative or edible indoor garden of flowers, herbs, veggies or microgreens today! Purchase all Window Garden products using Amazon Prime. We've got you covered on the three most important elements of growing a successful indoor garden. Water - The Bottoms Up Planter is self-watering, so there's no guessing on when or how much water to give your plants. Plus, It's an upside down planter so plant shoots curl up for an interesting visual effect. Oxygen - The most common reason for plant failure is lack of root zone oxygen from over watering and soil compaction. Not anymore. We've included an extremely porous growing medium for maximum air space, so roots can live, breath and thrive. All you need is a plant!